AZ Boutique presents its wide range of stainless steel frying pans: kitchen items combining resistance, aesthetics and sanitary hygiene. This cooking accessory is recognizable by its rounded skirt and long handle. This handy item is ideal for frying, grilling, sautéing, searing your culinary preparations! 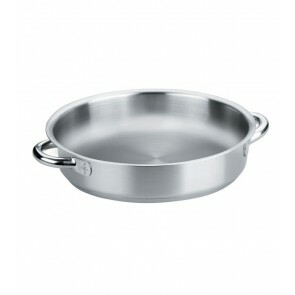 Frying pan, pancake pan, aluminum pan, grill pan, paella pan or wok pan. Many models and materials are available to fit your needs! In recent years stainless steel has rightly taken pole position among the most popular materials for professional and domestic kitchen equipment and has revolutionized the art of cooking! Stainless steel has the extraordinary self-protecting property against mechanical and chemical attack thanks to the spontaneous formation on its surface of a protective film formed from hydroxides and chromium oxides: a unique property thanks to which its popularity continues to grow as well in the kitchen of the great restaurants as in the domestic space. The stainless steel frying pan: an article that will seduce chefs, home cooks and gourmets! When we buy a cookware set, we obviously want it to last as long as possible and this is the main advantage (and not the least!) of stainless steel: this material is almost unalterable and allows you to make huge savings in the long run! 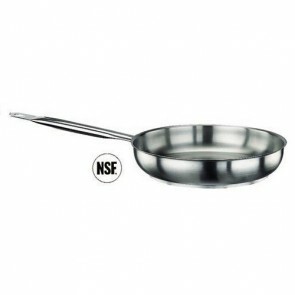 Stainless frying pan are also compatible with most stove top. If you want to make sure your material is induction stove compatible you just have to check if you can stick a magnet on the bottom of the pan. Stainless steel has a high resistance to both corrosion and oxidation and also to high temperatures. Your cooking equipment is not likely to deteriorate even if you choose to cook over high heat or cook acidic foods. Stainless steel is also hygienic, because its resistance to corrosion allows it to resist aggression of dietary fat for example thanks to this famous thin protective layer that is reconstituted in the air. Thus, even in contact with acidic substances or foods such as wine, tomatoes or vinegar, stainless steel represents no toxicity and is non-carcinogenic even if there is scratching. This very reactive material ensures a very fast rise in temperature and an immediate stop of the cooking out of the fire. This material also ensures that the heat is diffused throughout the pan, all for an ideal cooking of all your preparations. Your stainless steel frying pans heat the heat evenly so your food will be crunchy on the outside and soft inside, so you'll have delicious steaks and sautéed potatoes. For optimal steak cooking opt for a thick-bottomed pan. A stainless steel cooking set is very easy to clean since you can use most household detergents or dishwashing products in your container or even by using only some soapy water. 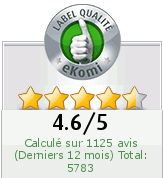 Thanks to its ease of use, you can use them for cooking with fat or caramelization of food. 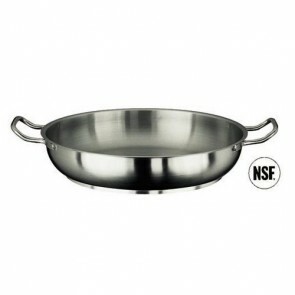 Even with hard scrubbing the quality of your stainless steel cookware set is not altered. To eat healthy and nail dishes like fried egg, omelette, scrambled eggs, simmered dishes, blinis and red or white meat discover our range of stainless steel materials including stainless steel pots, stainless steel saucepan mandolin, stainless stew pan, stainless steel woks, stainless steel skillet, stainless steel frying pan, stainless steel pans, stainless steel roasting pan for succulents preparations. To complete your kitchen cookware, AZ boutique also offers utensils adapted to all types of cooking: induction cooktop stainless cookware, non stick cookware, induction saute pan, cast iron cookware including cast iron skillet, copper pans, non-stick skillet, cast aluminium pan, stockpots with lids, crepe pan, blinis stove in blue iron, silicone mold or nonstick pie plate.